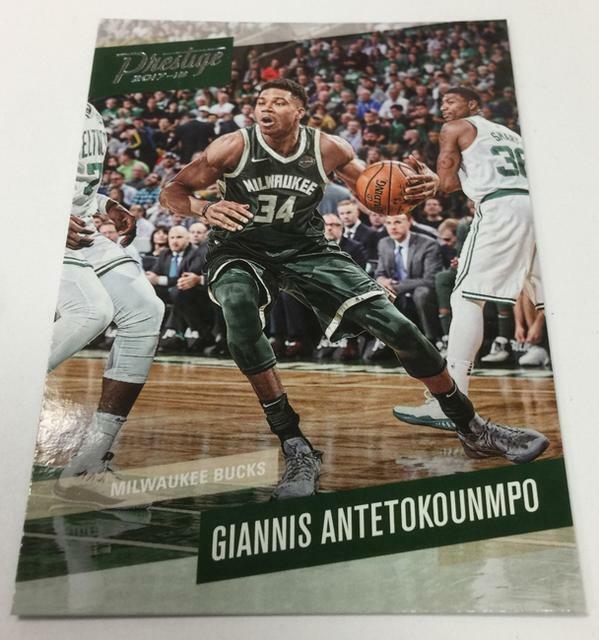 to keep NBA collectors on their toes. 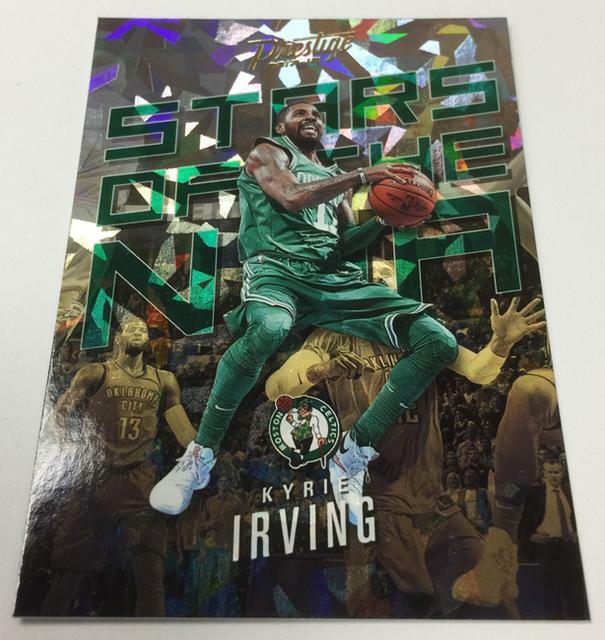 Similar to the 2016-17 set, there are also several elements that look to be exclusive to certain retail formats. to Hobby boxes. 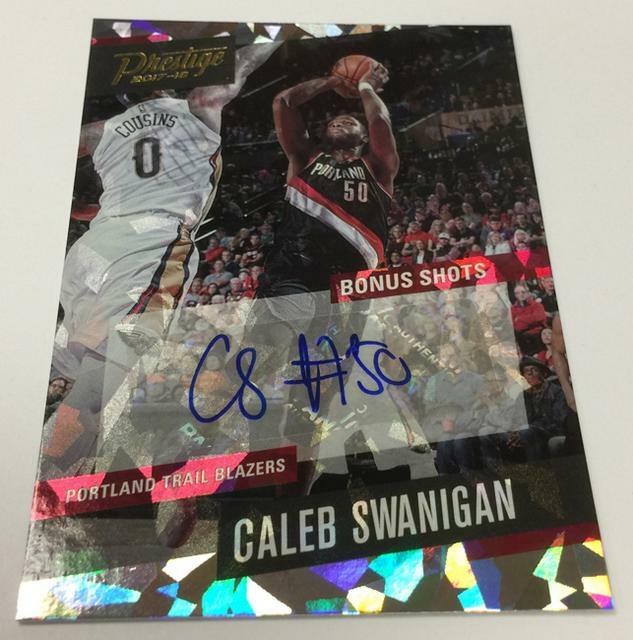 Hobby boxes also average a pair of autographs. 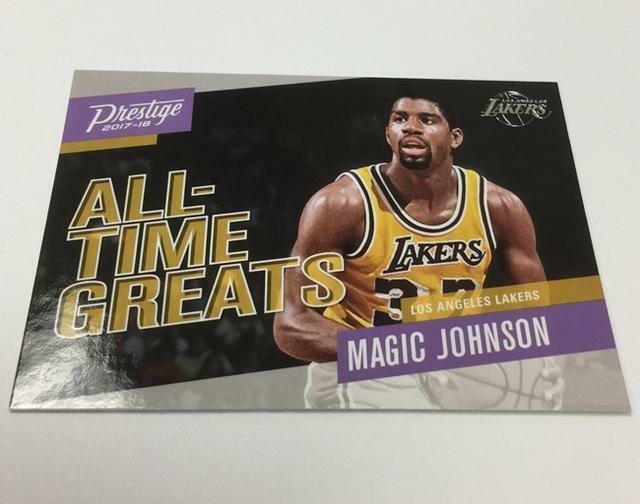 for this newest version of Prestige, including the basics on pack formats. but here’s what we know for now. 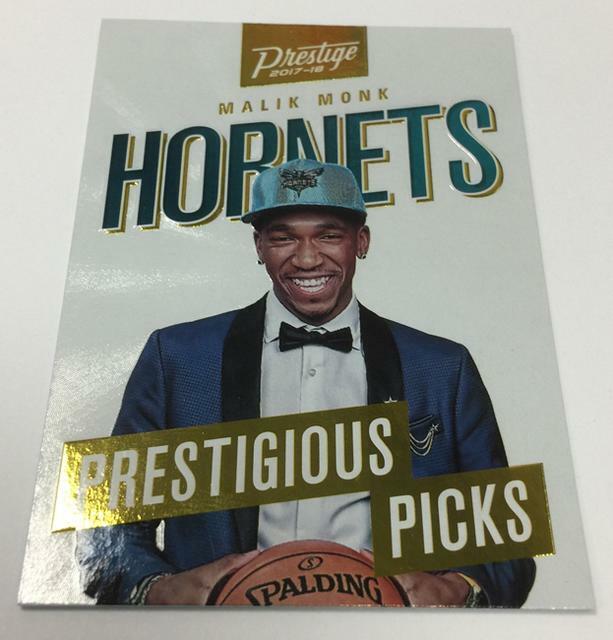 by team in the 2017-18 Panini Prestige checklist. 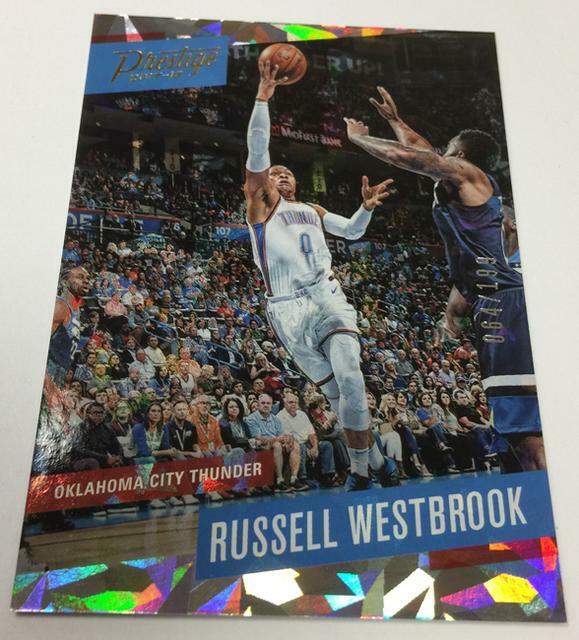 and Rain, plus hobby-only Crystal (#/199), Crystal Gold (#/10), Crystal Blue (1/1). 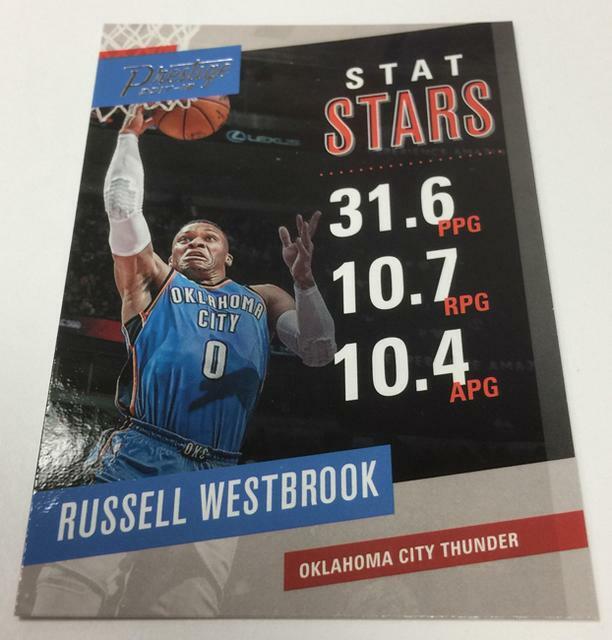 A variety of inserts combine with the parallels to average one per pack. 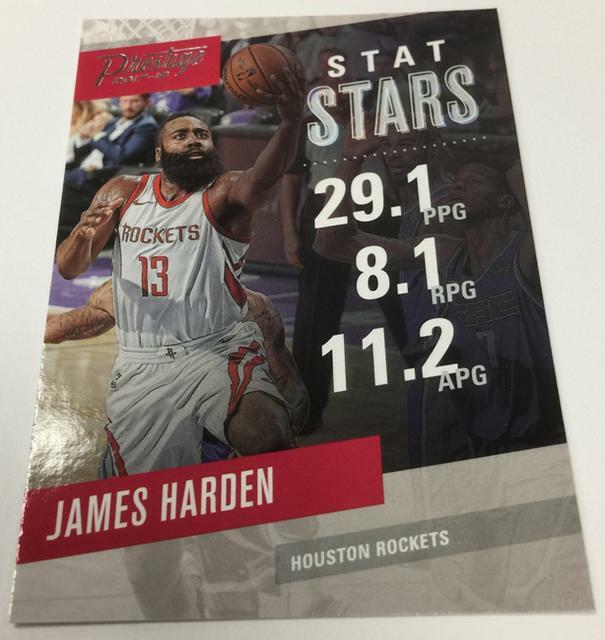 and Stars of the NBA for the biggest current names. 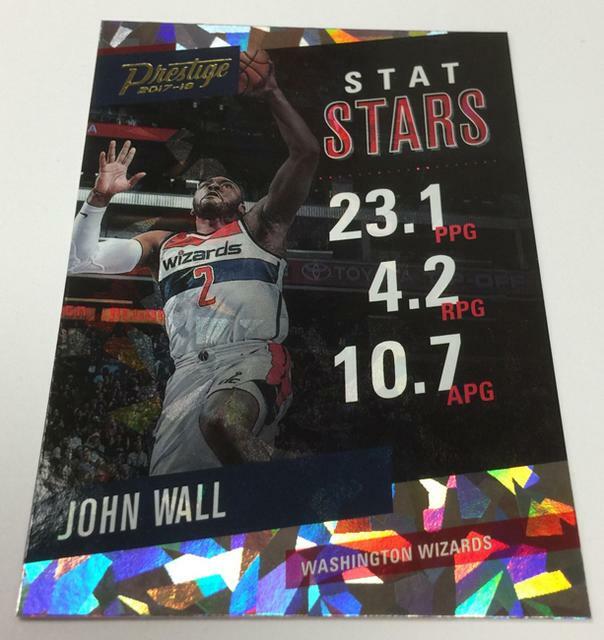 and Stat Stars celebrates those that really pile on the points, rebounds, assists and more. and Pink parallels, numbered to 10 copies. 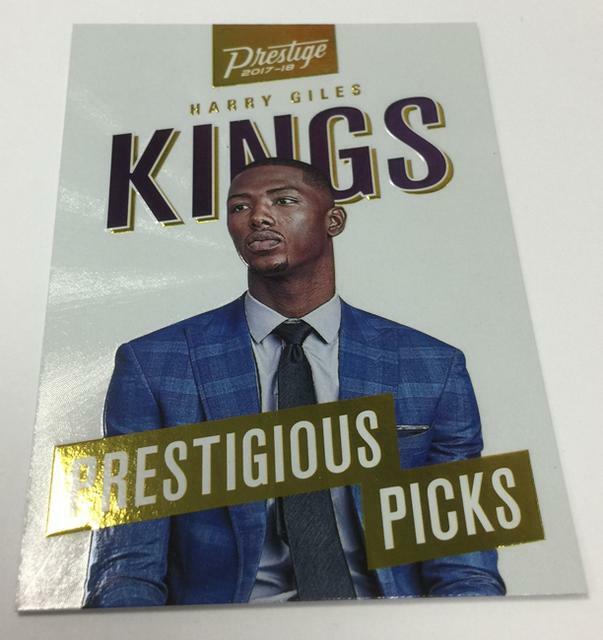 and the micro-etch Prestigious Picks cards average three per case. 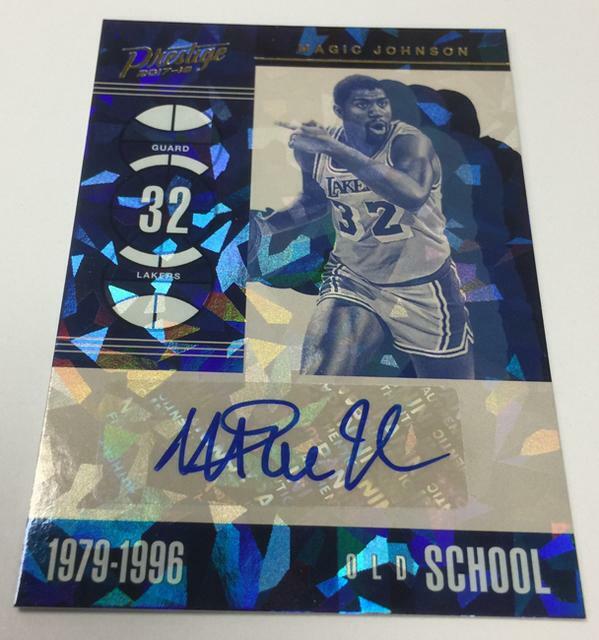 Autographs will be found just once per jumbo box but are not guaranteed in every blaster box. 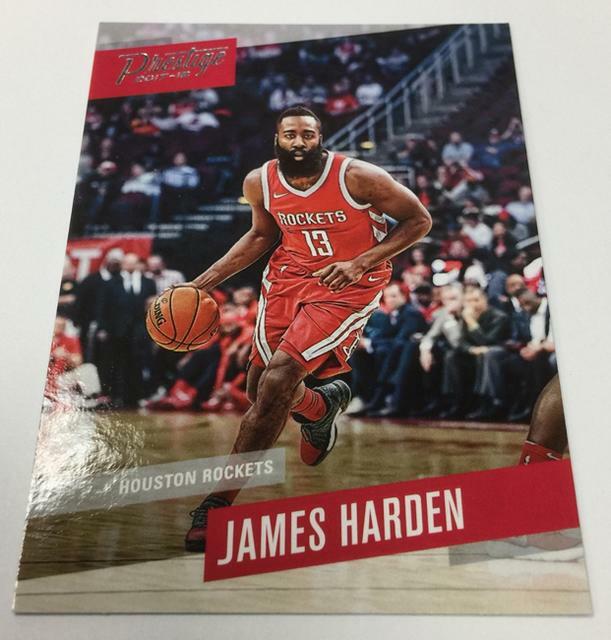 The third pack format at retail will be hanger boxes. 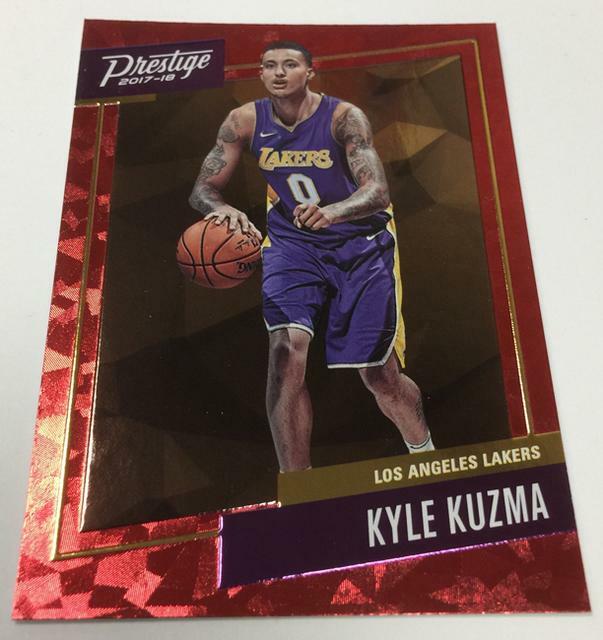 A total of 200 cards make up the Prestige checklist. The first 150 are veterans while rookies make up the final quarter. 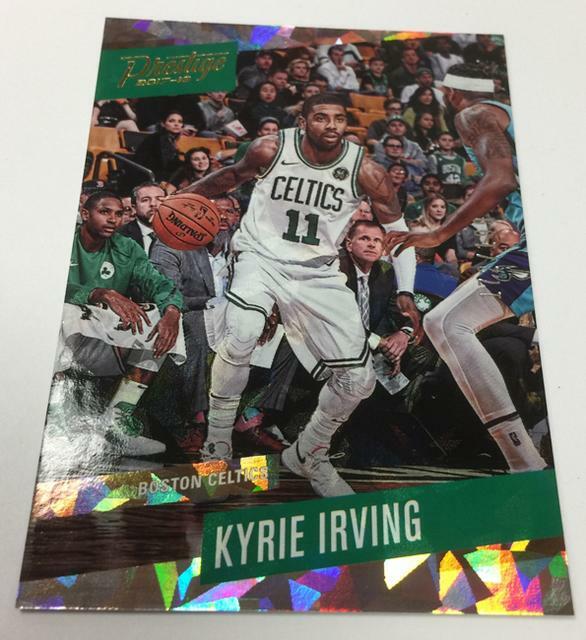 As with many other sets in the Prestige line, cards use a lot of sharp action shots. 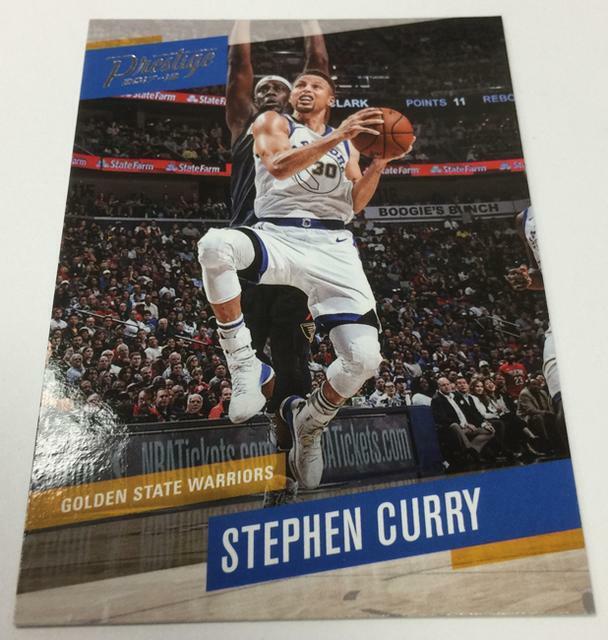 This includes the Rookie Cards, which don’t have a lot of these types of photos on cards. 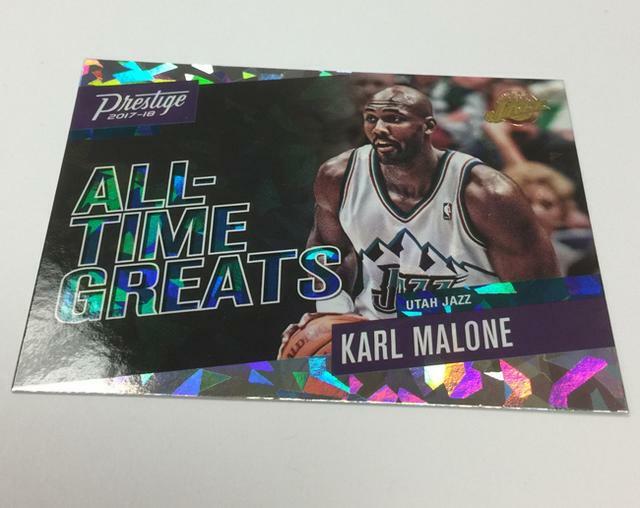 Parallels come in several levels including the debut of Crystal, or Cracked Ice, in Prestige. 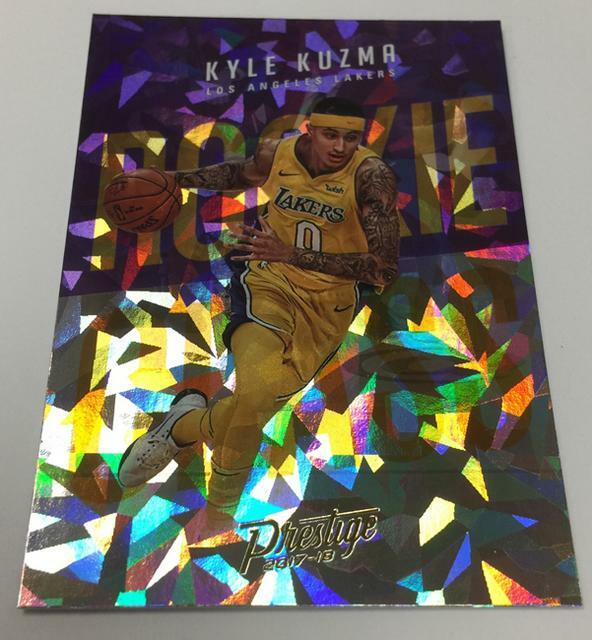 Available in hobby packs, basic Crystal parallels have 199 copies each. 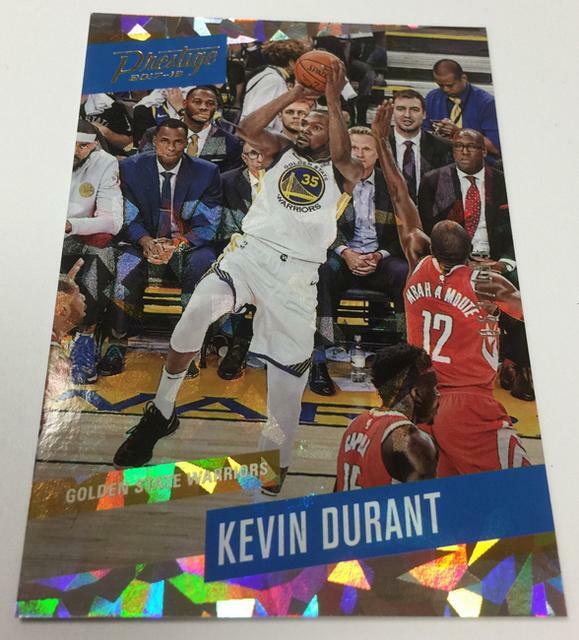 Crystal Gold are numbered to 10 while Crystal Blue are one-of-ones. Retail has some exclusive parallels of their own. 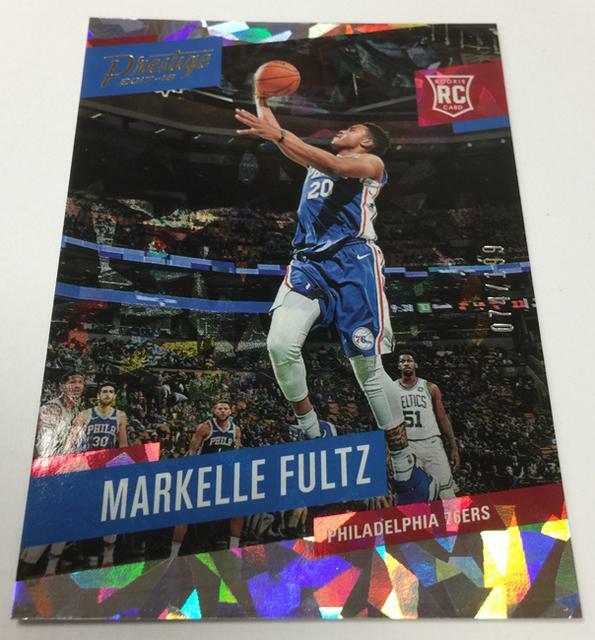 Horizon cards are only in blaster boxes. 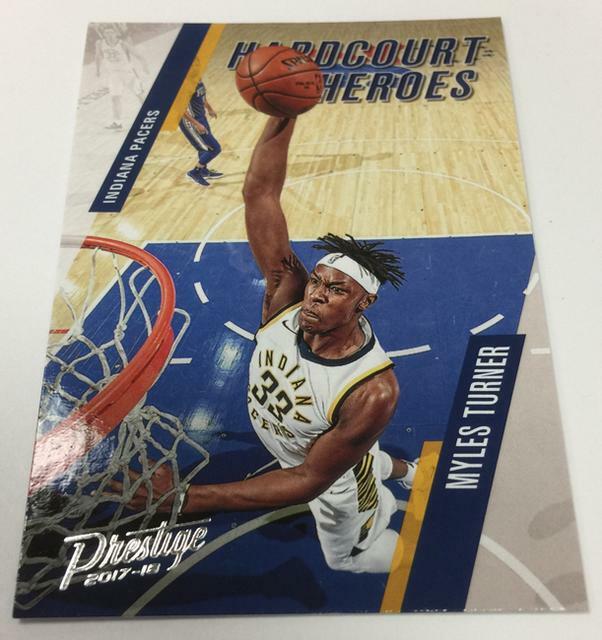 Retail hanger boxes have Mist parallels. 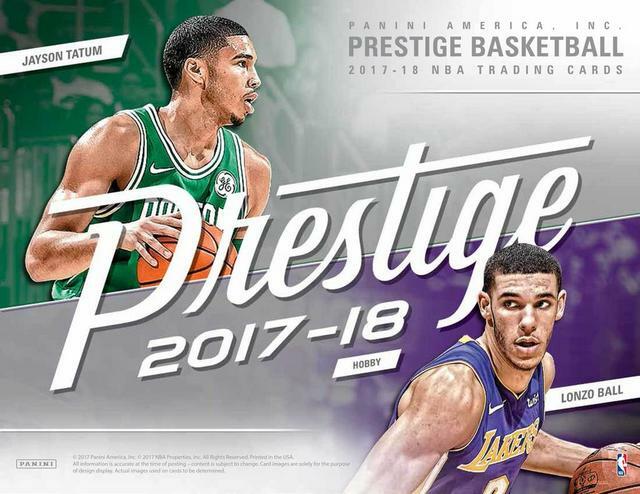 Autographs combine to land two per 2017-18 Panini Prestige Basketball hobby box. They’re also included in retail packs. 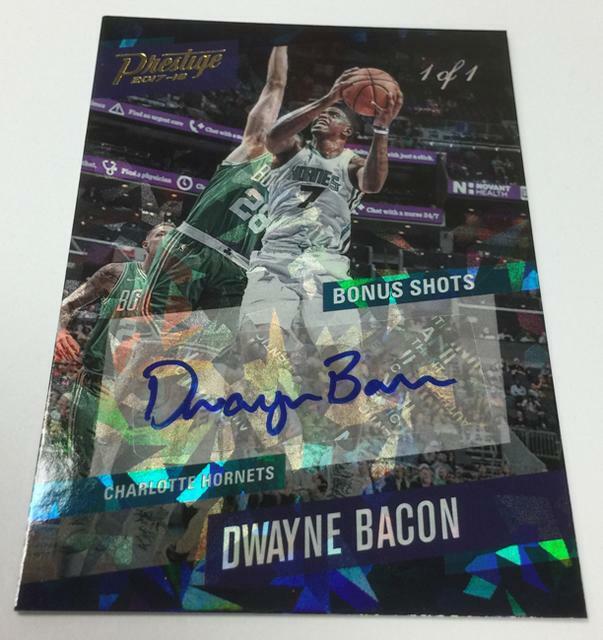 Bonus Shots Signatures have the largest checklist of all the autograph inserts. 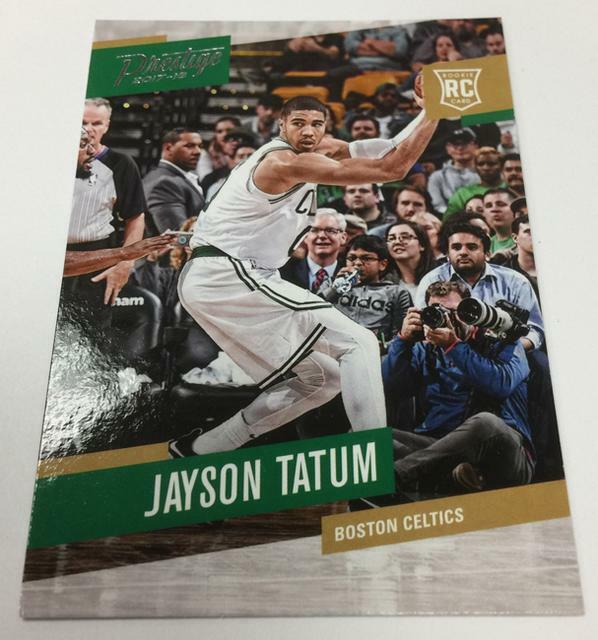 These use the same basic layout as base cards on the front. 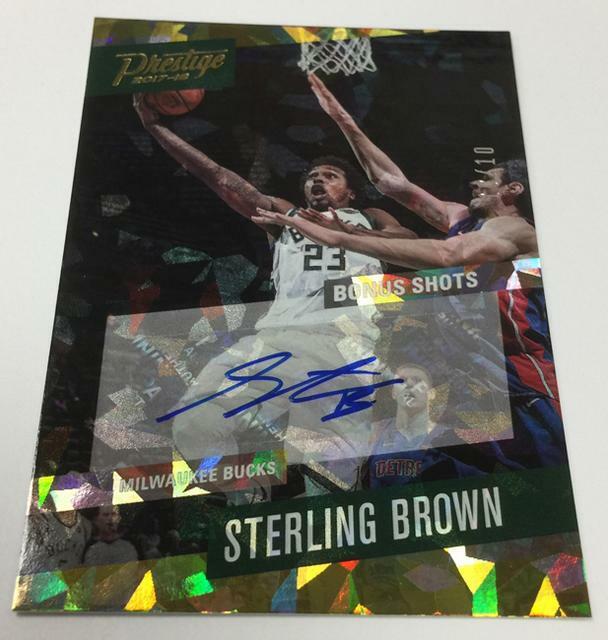 Signers are a mix of veterans and rookies. 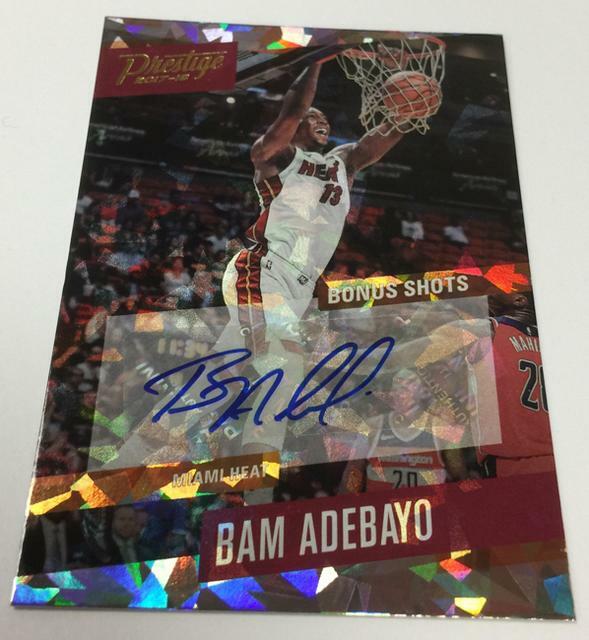 Almost 50 players have Prestigious Signatures cards. These are a mix of current players and retired stars. 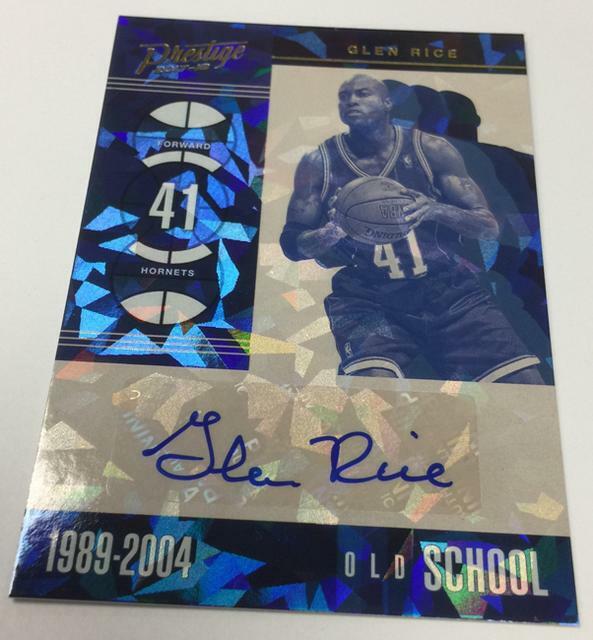 The 20-card Old School Signatures is strictly retired players. 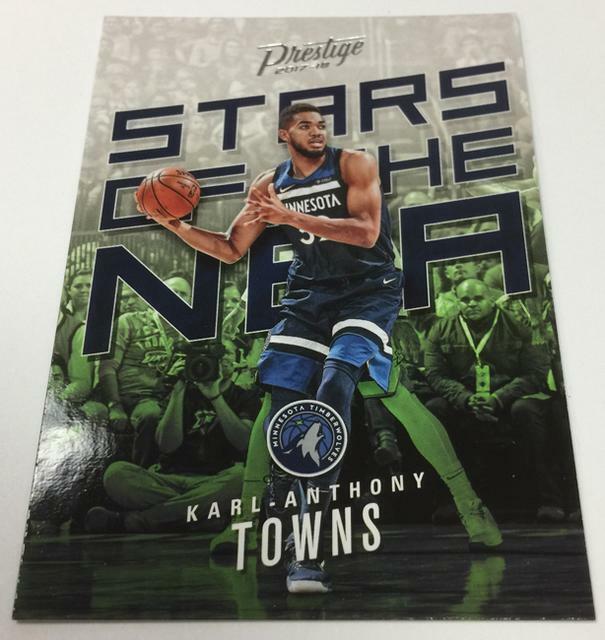 Besides the signed sets, 2017-18 Panini Prestige has nine regular insert sets. 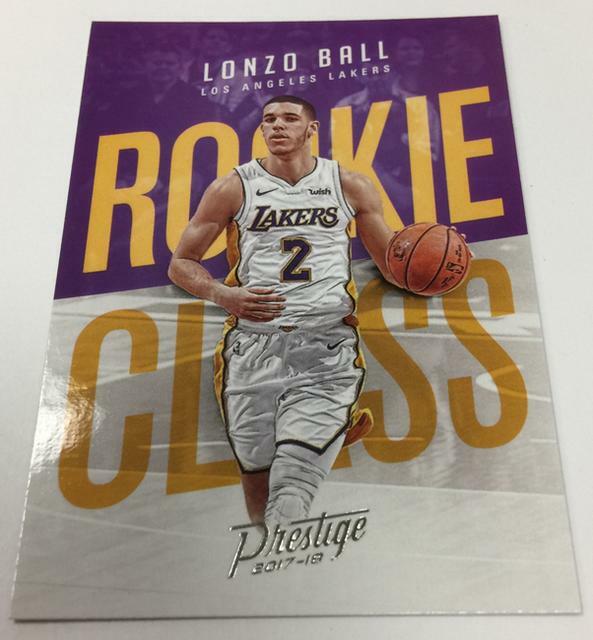 and Rookie Class both have 25 cards and center on first-year players. 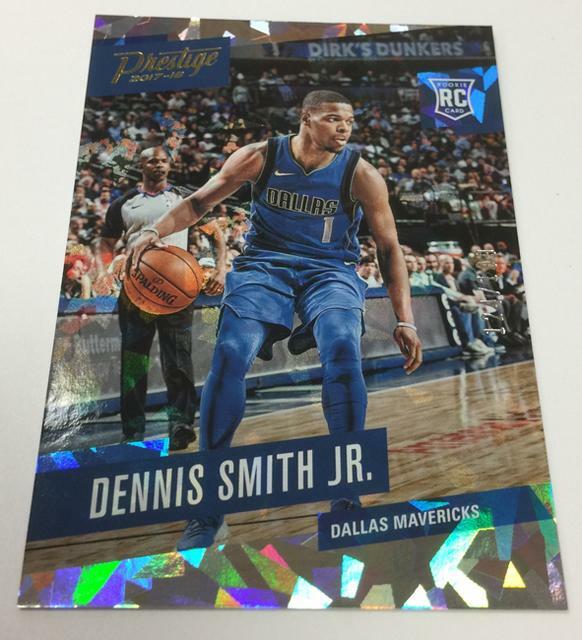 Mirco Etch Rookies do as well, only with a much larger checklist of 50 cards. 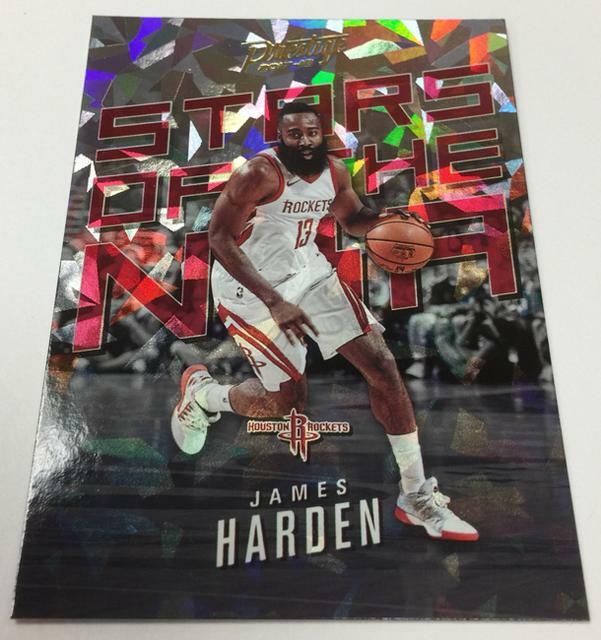 Highlight Reel (ten cards), Stat Stars (ten cards) and Stars of the NBA (15 cards). 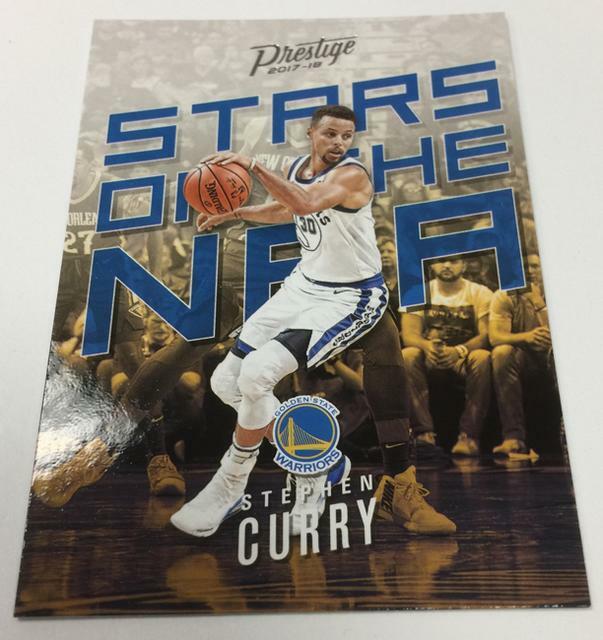 Each version will have as its own exclusive Micro-Etch rookie color as well as certain parallels. 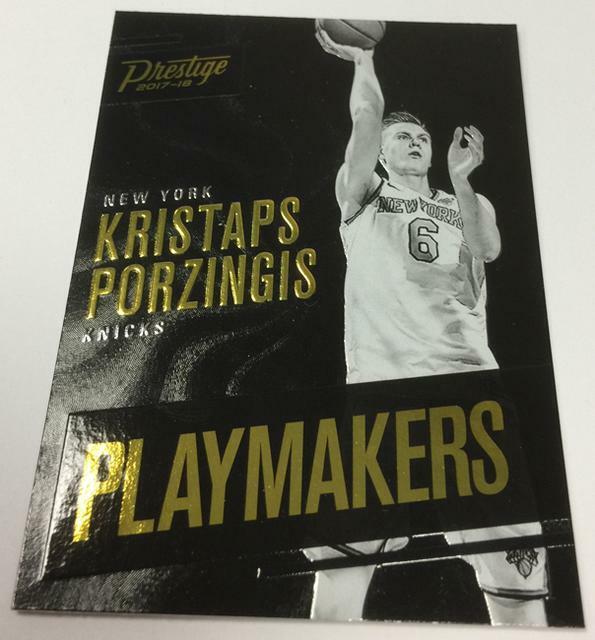 and eight inserts or parallels, while there will be pink Micro-Etch cards here limited to only 10 copies. 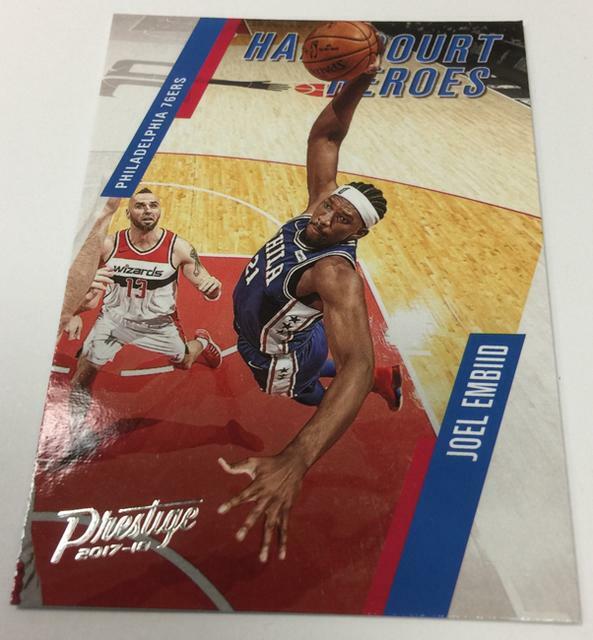 Inserts will include Highlight Reel, Stat Stars, Stars of the NBA, Hardcourt Heroes and All-time Greats. 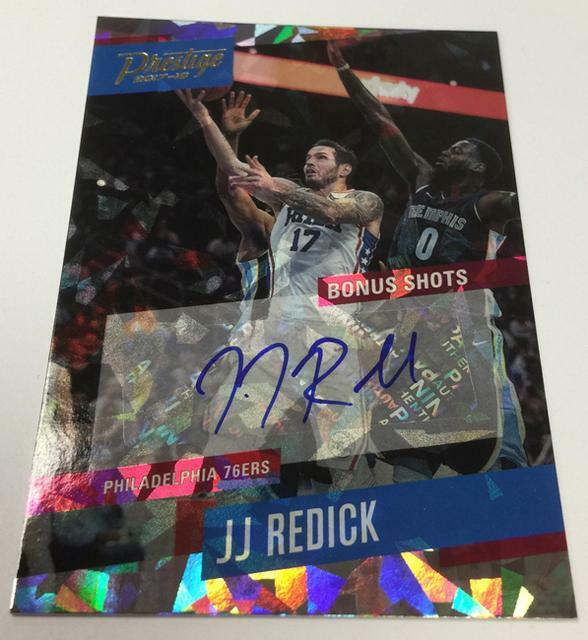 one autograph, nine RCs and 72 inserts. 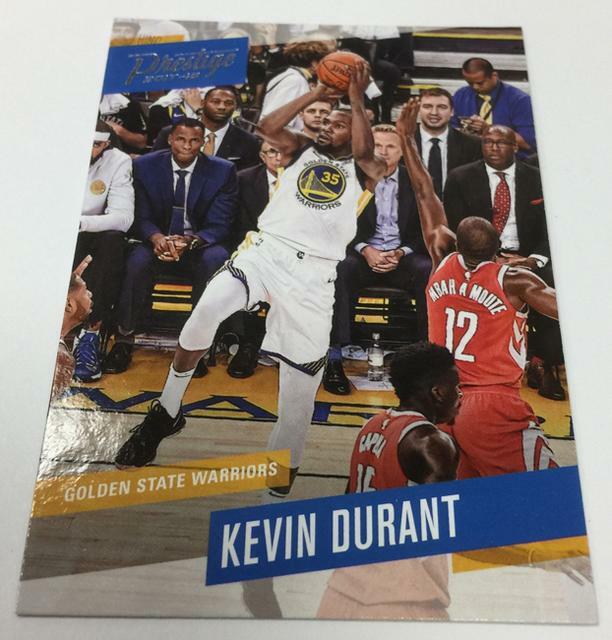 These will also be the home of Rain parallels. 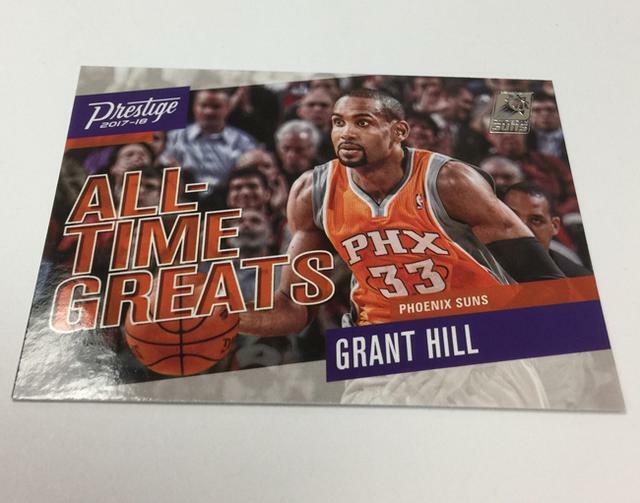 Hanger boxes will be $9.99 and include orange rookies two per box with 12 other inserts. Also only found here will be Mist parallels. Each Box contains 2 Autographs! 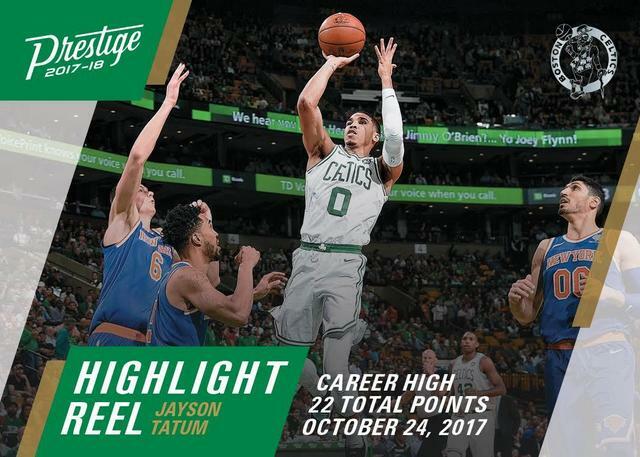 Gary Payton, Lonzo Ball, Markelle Fultz, Kyle Kuzma, De’Aaron Fox, Jayson Tatum, Zhou Qi and more! 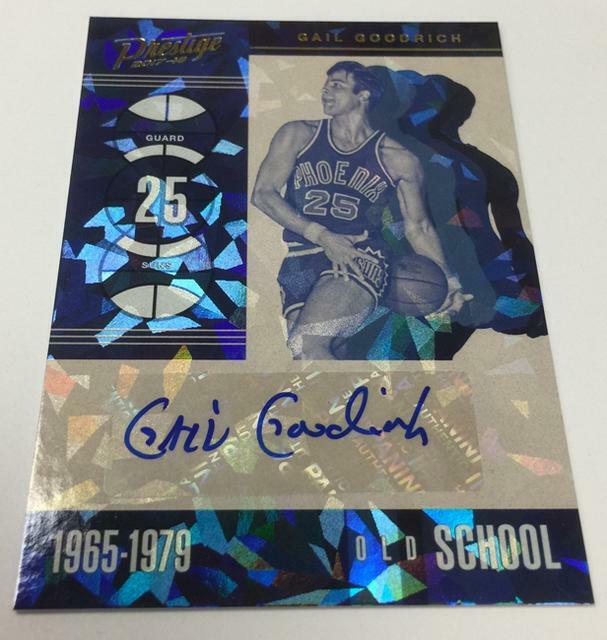 Prestigious Signatures or Old School Signatures, each with Hobby-only Crystal parallels. Fall approximately 7 per box! 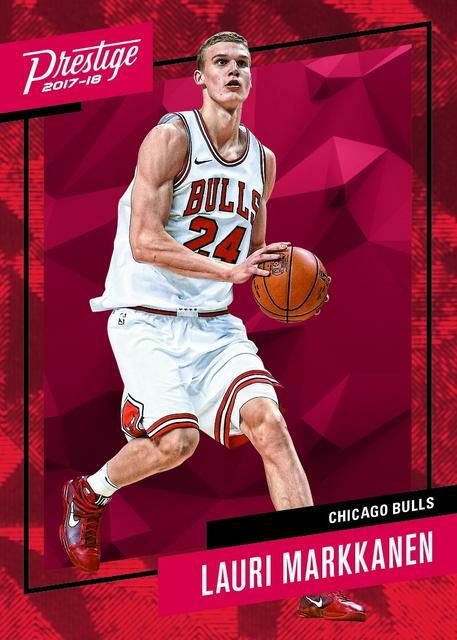 and rookies from NBA Draft 2017! 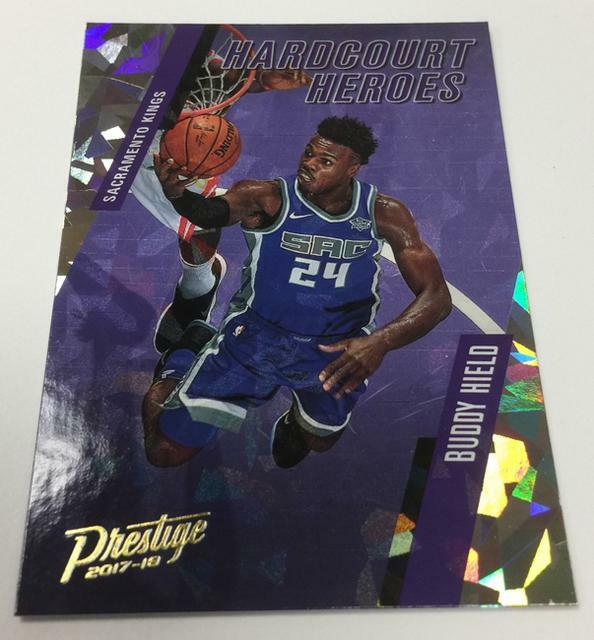 Stars of the NBA, Hardcourt Heroes, All-Time Greats! 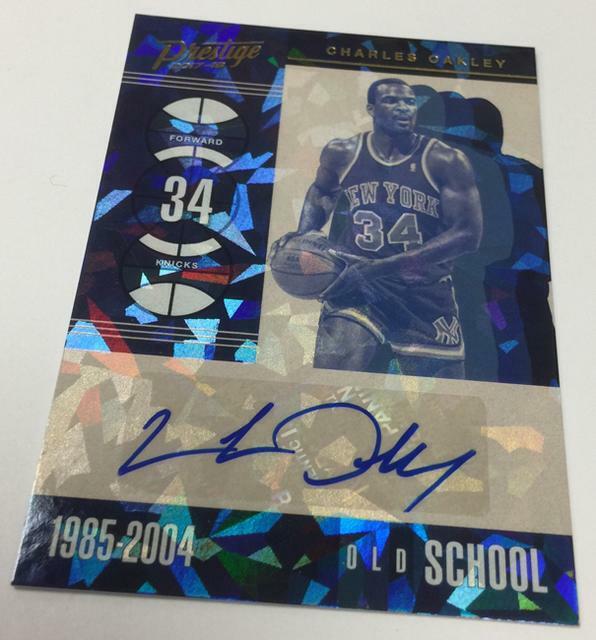 - Old School Signatures Gold #’d/10. 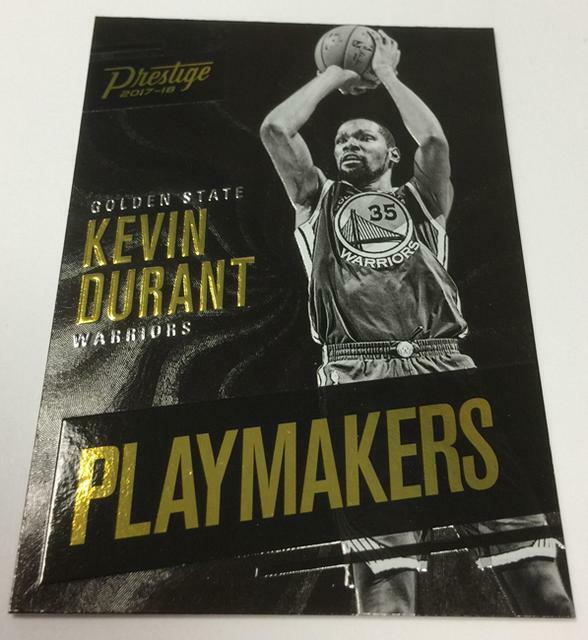 - Also look for exclusive Micro Etch Rookies and Micro Etch Rookies Gold #’d/10. 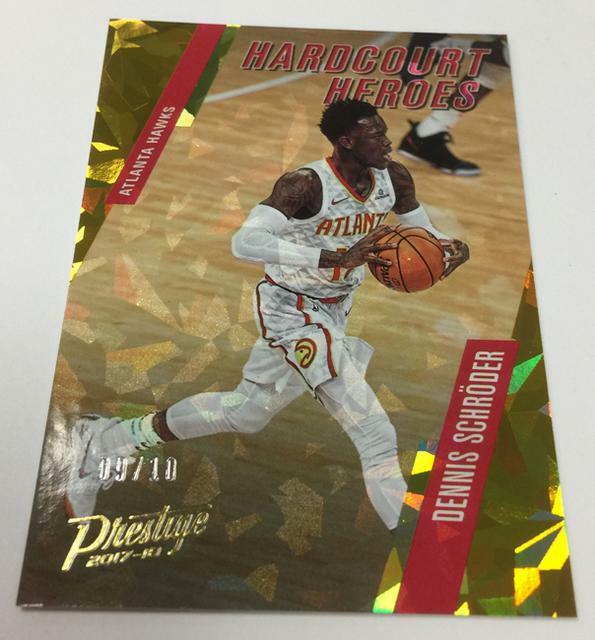 - Also Look for Micro Etch Veterans Bright Green and Micro Etch Rookies Bright Green. 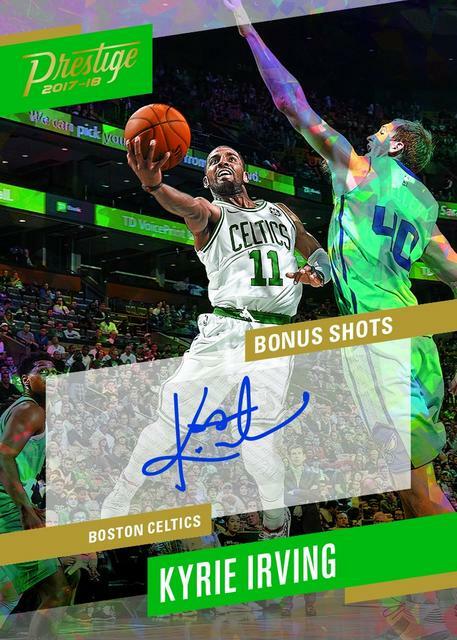 - Bonus Shots Signatures features 80 players consisting of veterans, rookies, and retired! 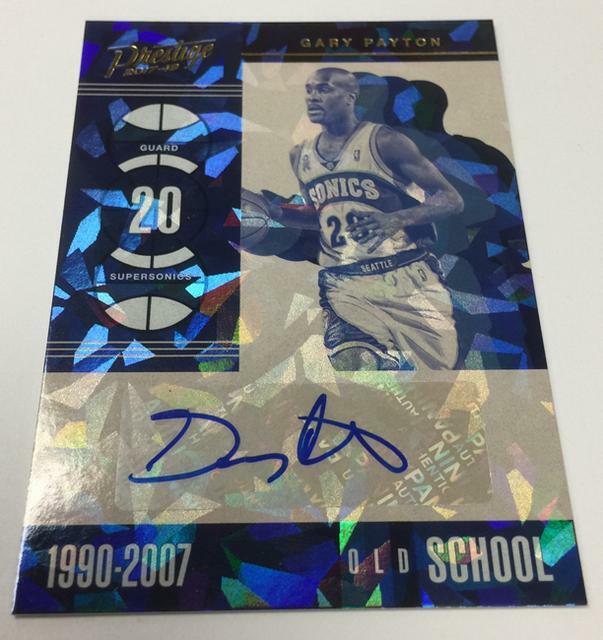 including Tracy McGrady, Gary Payton,and Magic Johnsonn! 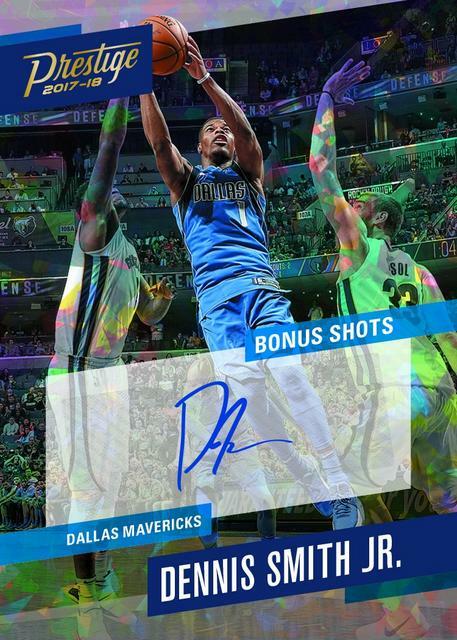 2017-18 Prestige Bonus Shots Signatures DENNIS SMITH JR.
Dernière modification par Eyeshield21 le 13 mars 2019, 12:13, modifié 18 fois. 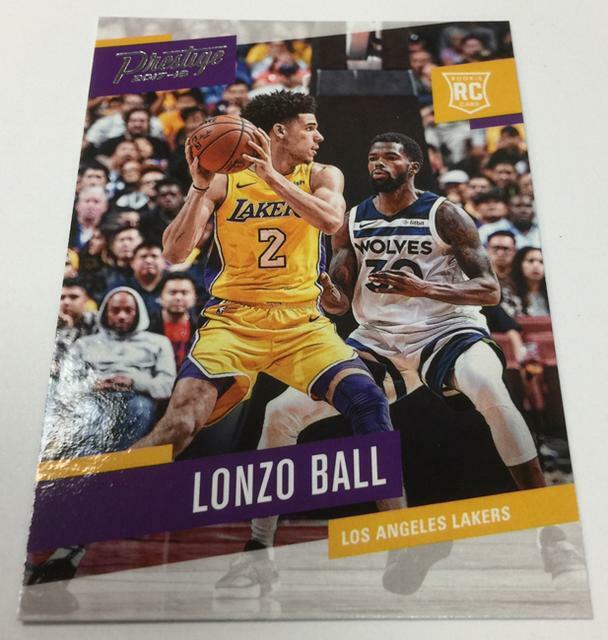 ca serait la 1ere fois que panini aurait 1 an d avance!!!!! Dernière modification par Eyeshield21 le 12 avr. 2018, 15:50, modifié 2 fois. Is news still “breaking” when it involves Panini America’s popular Cracked Ice technology? Or would it be “cracking” news? That’s a rhetorical question, of course. 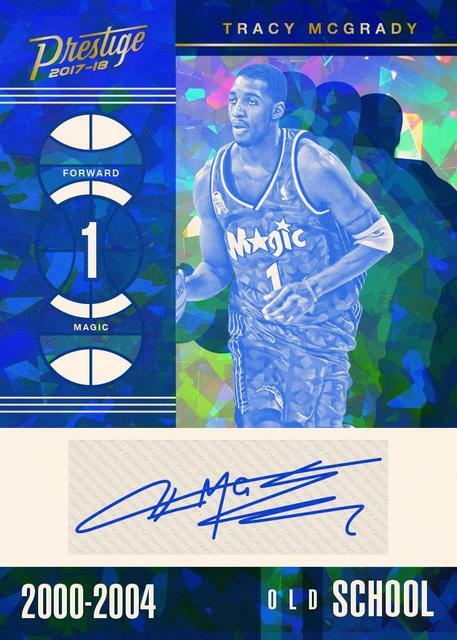 and the fascinating finish is featured on both base parallels and inserts as well as on all autographs. But the hobby addition of Cracked Ice is but one reason for excitement. 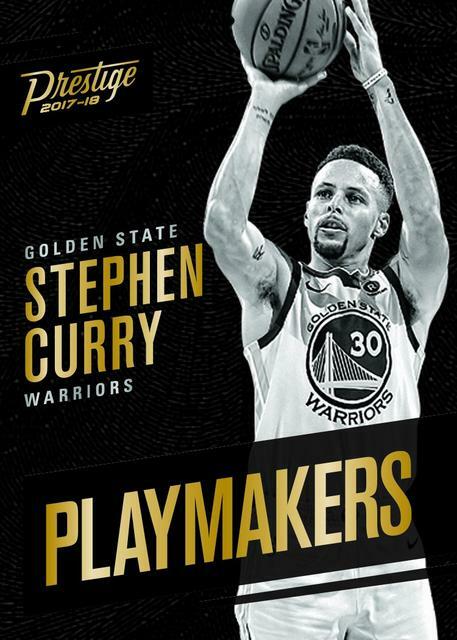 2017-18 Prestige has quite a few more. 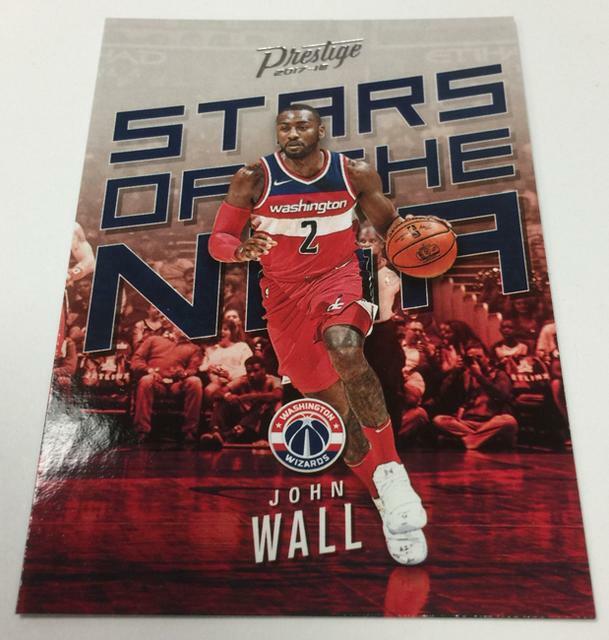 (six cards per pack, 24 packs per box, 16 boxes per case) will deliver two autographs and 24 inserts or parallels from an impressive array of both. 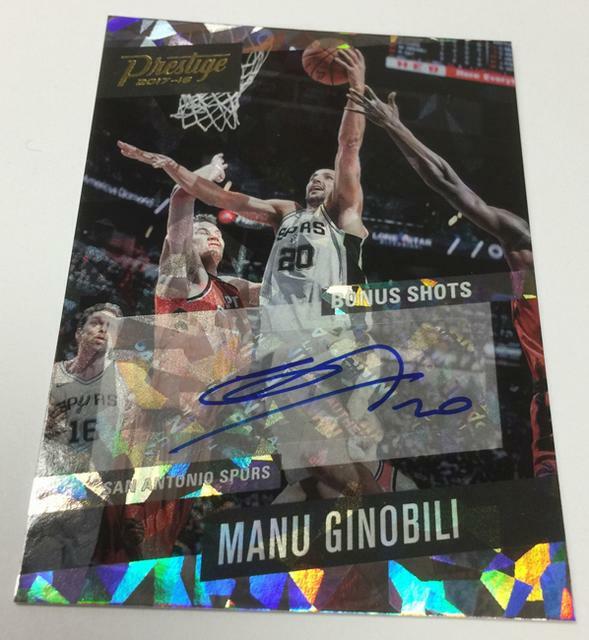 Cracked Ice autographs are hobby exclusives, as are the Micro Etch Rookies Red insert that fall roughly nine per box. 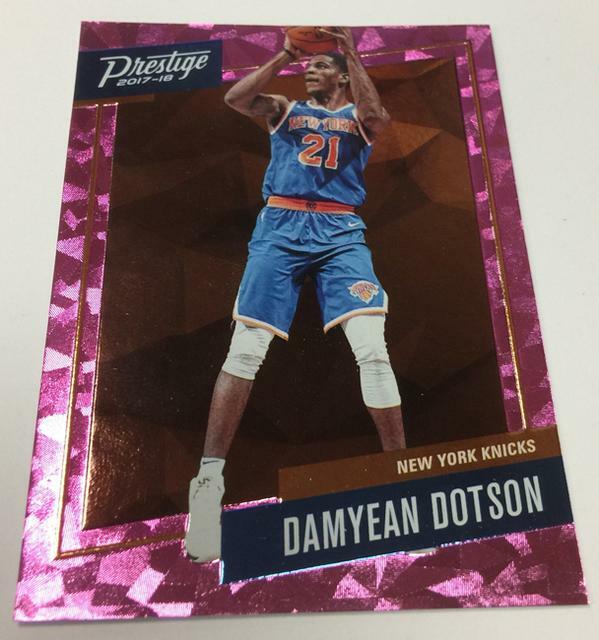 Pink versions of the Micro Etch Rookies chase are numbered to just 10. 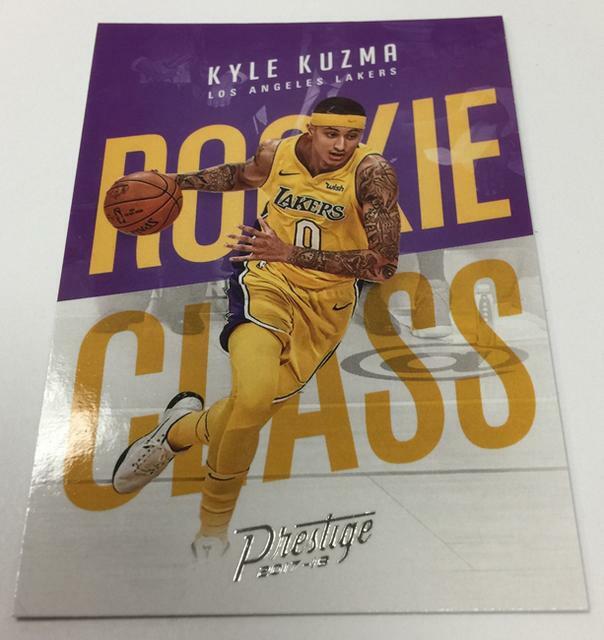 Base Rookie Cards fall one per pack but some packs will deliver two RCs. 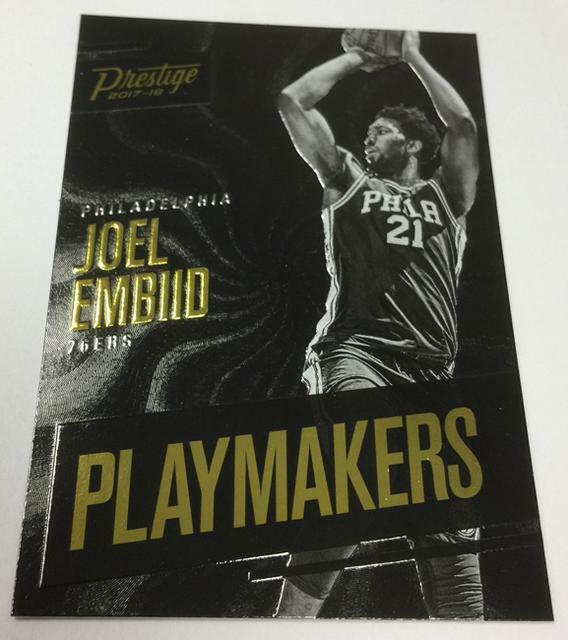 Oh, and the one-per-case Playmakers and three-per-case Prestigious Picks micro-etch inserts return this year, too. 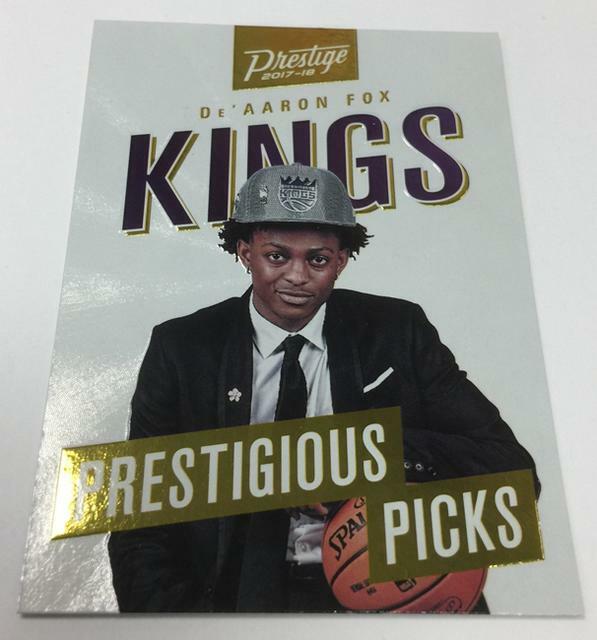 You can immerse yourself in all of Prestige’s goodness in the Quality Control Gallery that follows. 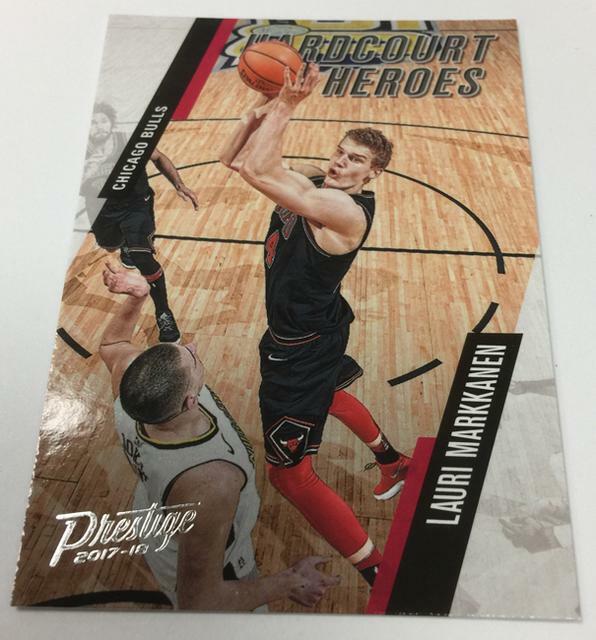 Enjoy the early peek and stay tuned to The Knight’s Lance for continued coverage. 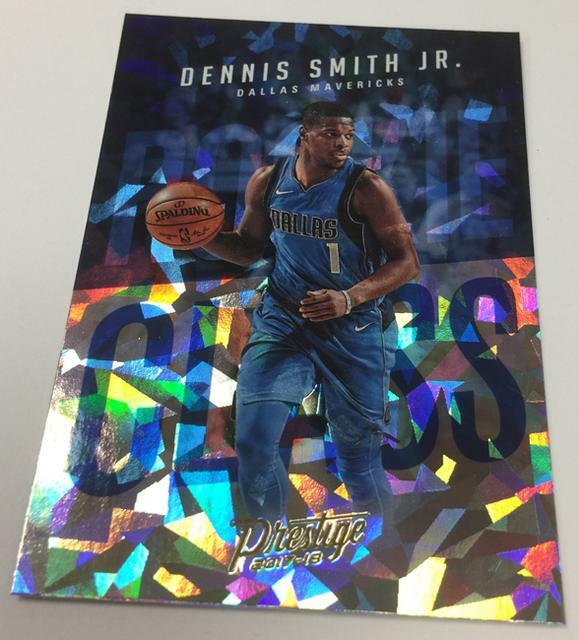 2017-18 Panini Prestige Rookie DENNIS SMITH JR.
2017-18 Panini Prestige Rookie Class Craked Ice DENNIS SMITH JR.
Dernière modification par Eyeshield21 le 13 mars 2019, 12:13, modifié 6 fois. Dernière modification par Eyeshield21 le 29 mars 2018, 12:57, modifié 1 fois. 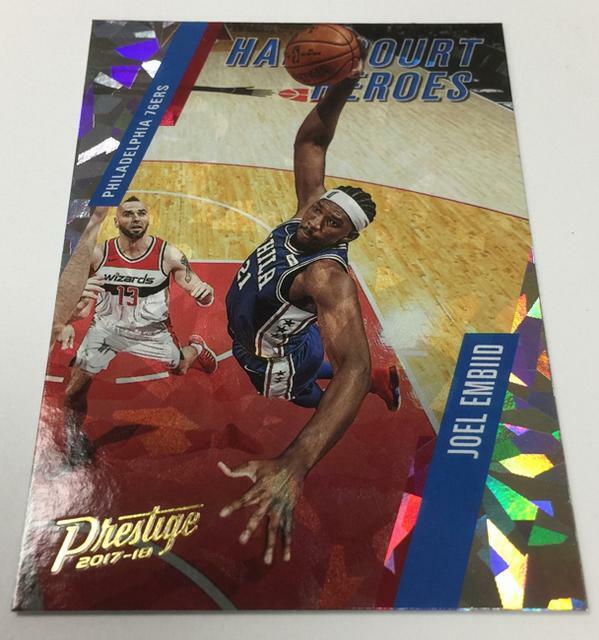 with Panini America’s 2017-18 Panini Contenders and 2017-18 Prestige both going live today. We’ve provided Quality Control Gallery previews for both products in recent days here on The Knight’s Lance as a means of broad introduction. Earlier today, we started taking you directly to the box level with a must-see Teaser Gallery featuring Contenders. 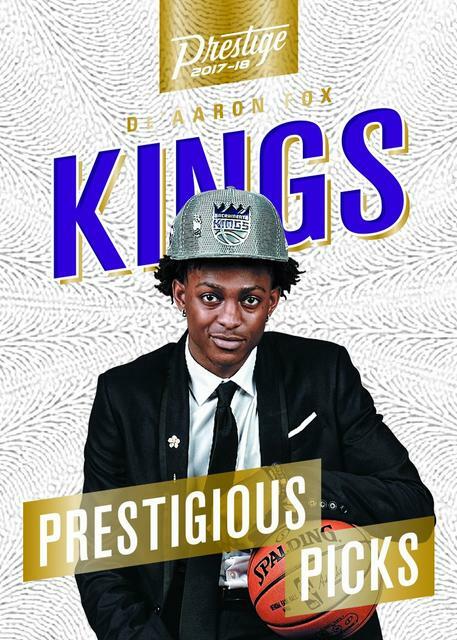 Now, we’re switching to Prestige. 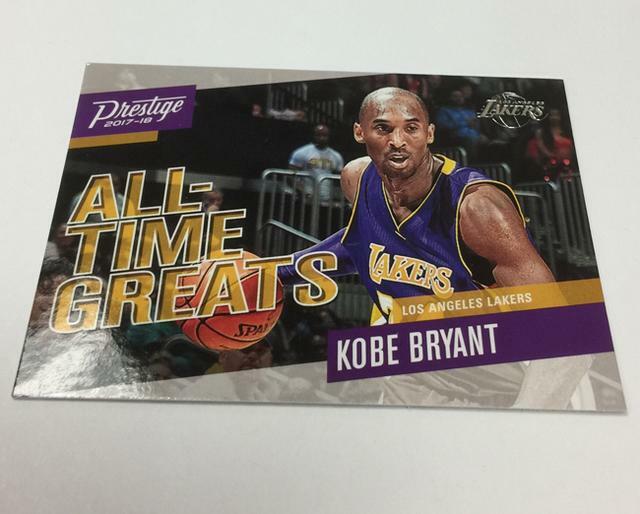 and 24 inserts or parallels from an impressive array of both. 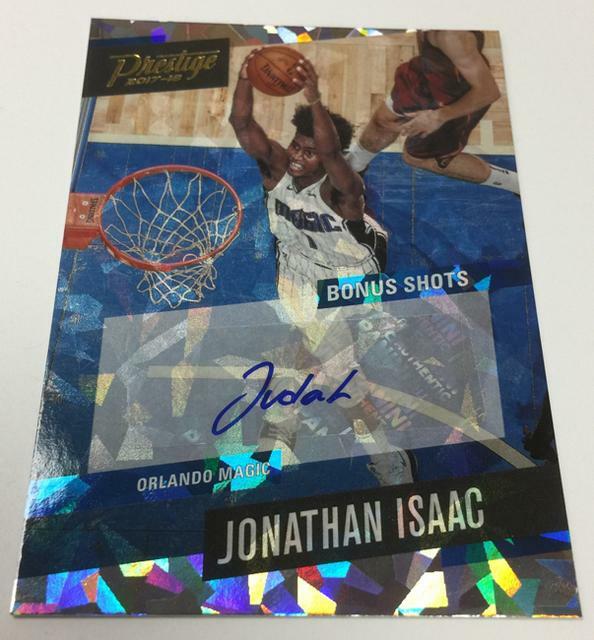 Cracked Ice autographs are hobby exclusives, as is the Micro Etch Rookies Red insert that falls roughly nine per box. In the gallery that follows, we take you pack by pack through two boxes. Enjoy the break . . .
Dernière modification par Eyeshield21 le 13 mars 2019, 12:16, modifié 3 fois.